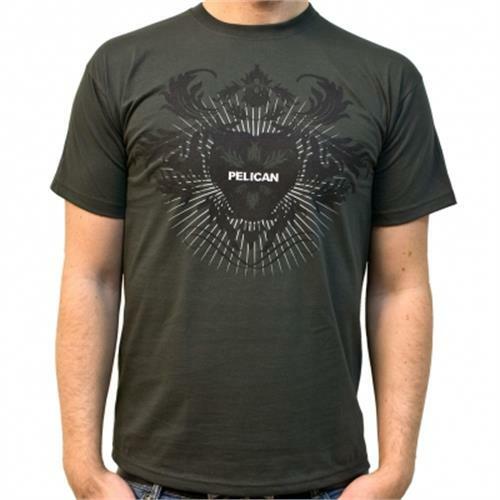 The secretive instrumental art metal outfit Pelican was formed in Chicago by guitarists Trevor de Brauw and Laurent Lebec, with bassist Larry Herweg and his sibling drummer, Bryan. Owing a great debt to pioneering forefathers Neurosis and often compared to Boston's nearly as influential Isis (minus the vocals, naturally), Pelican coincidentally also found a home at Isis mastermind Aaron Turner's Hydra Head Records. After making their debut with an eponymous four-song EP in 2003, Pelican expanded their epic, otherworldly trance-metal to continent-sized movements with 2003's critically acclaimed Australasia album and followed it with 2004's The Fire in Our Throats Will Beckon the Thaw. After nonstop touring, playing in clubs, small halls, and mammoth festivals, the quartet took a much-deserved break. They returned to the studio in 2006 and released City of Echoes in June 2007, followed by the live CD/DVD After the Ceiling Cracked later that December.